Explorers wear a core uniform of a dark beige coloured shirt and a black & white scarf. For district events and formal occasions navy blue activity trousers with a scout belt must also be worn. You are welcome to bring a change of clothes as many of the activities can get messy. 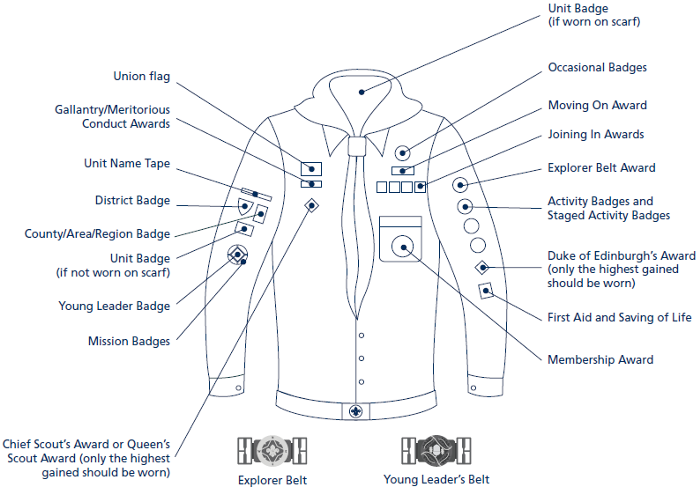 If you have just joined Explorers please wear your Scout shirt and group scarf until you have purchased a shirt, you will be given an Explorer scarf when invested.